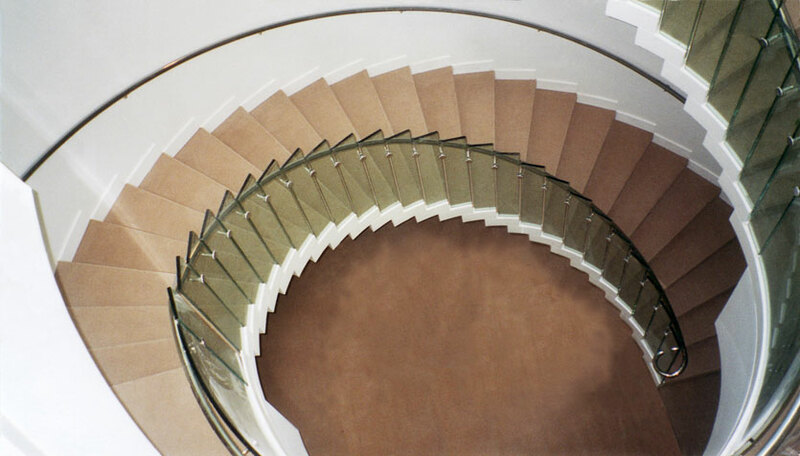 This three-story steel and glass monumental circular stair rises up through three stories of the center atrium of the Korean Mission. 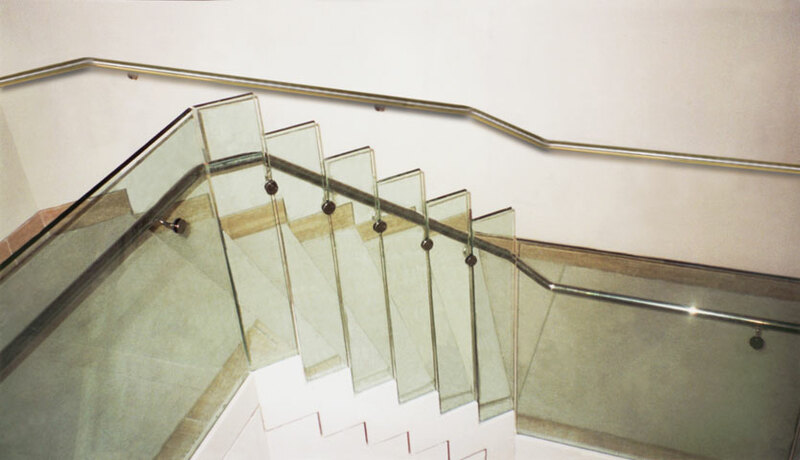 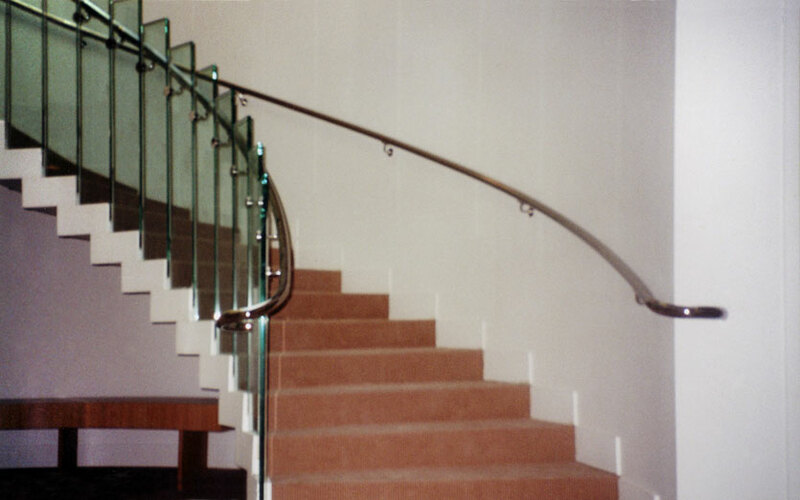 It is built of steel, glass and marble, with stainless steel handrails. 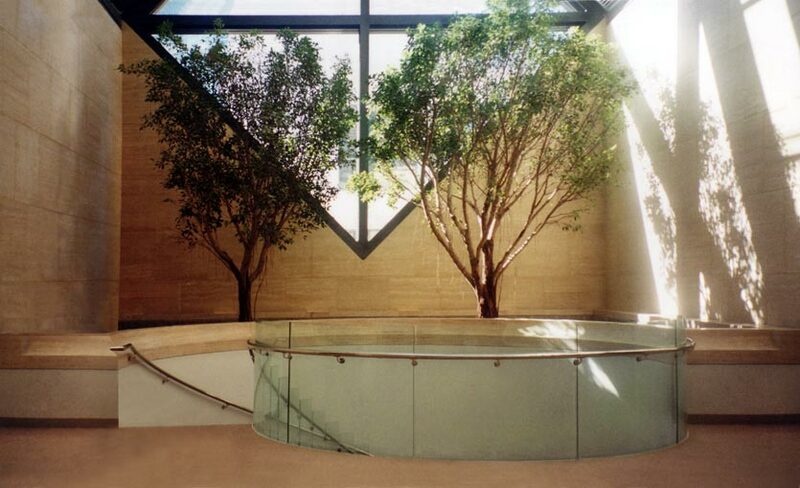 The staircase is situated directly below the large rooftop observatory window which allows natural light to nurture the living trees planted at the upper landing and filter down to illuminate the main lobby.